Cyclamen is a genus of 23 species of perennial flowering plants in the family Primulaceae. They grow from tubers and are valued for their flowers with upswept petals and variably patterned leaves. 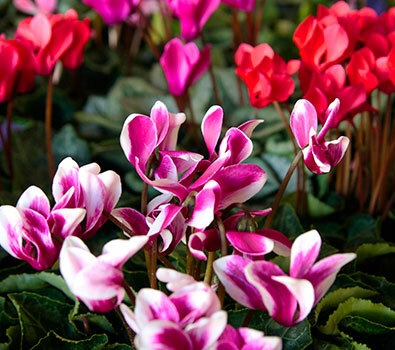 Cyclamen is a beautiful perrenial and a wonderful addition to any outdoor area. They come in a wide variety of vibrant colors.